Product Overview The TVS-882 features advanced hardware by adopting 6th Generation Intel 14nm multi-core processors and was designed around the concept of tiered storage, application-based partitioning and network traffic distribution. Featuring PCIe Gen.3 slots that can support 10GbE/40GbE NIC, PCIe NVMe SSD, graphics cards, and USB 3.1 expansion cards, the TVS-882 also supports smooth 4K 60 fps video transfer and display, cross-platform file sharing, comprehensive backup and disaster recovery, iSCSI & virtualization and more business applications. Incorporating reliability and security, the TVS-882 presents an ideal choice for a complete business-ready storage solution. The TVS-882 is powered by high-performance 6th Generation Intel multi-core processors with options including Core i3 and Core i5, increasing system performance by 20% - 30% compared with previous generations. It greatly enhances the efficiency of CPU-demanding applications such as virtualization, real-time 4K video playback, and serving large numbers of simultaneous connections. Graphics cards are optimized for graphical calculations and transformations, but require significantly more power compared to other hardware. The TVS-882 offers an option with a 450 watt power supply that is capable of powering an AMD Radeon R9 Series graphics card for smooth GPU passthough to virtual machines. *Note: Only TVS-882 and TVS-1282 provides an option with 450W power supply. The TVS-882 features three HDMI ports, including one HDMI 2.0 port for smoothly playing Ultra HD 4K (4096 x 2304) videos. 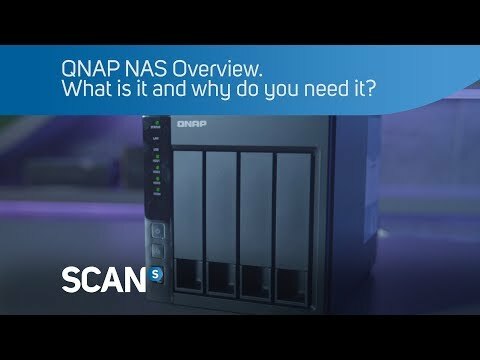 You can connect the TVS-882 to a TV or A/V receiver and use the powerful Kodi media player in HD Station with the QNAP remote control to enjoy rich media content and 4K 60 fps videos with the best audiovisual experience. Featuring Intel HD Graphics, the TVS-882 delivers superior real-time 4K (H.264) and 1080p video transcoding to convert videos to universal formats that can be smoothly played on PCs, mobile devices and Smart TVs. The TVS-882 comes with three HDMI outputs for using three monitors in either “duplicated” or “extended” desktop configuration. Duplicating will display the same content on every display, and extended desktop mode allows users to display applications across the displays for improved multitasking convenience and productivity. When displaying content using HDMI, you can use the TVS-882 as an amazing multimedia player by using HD Station to enjoy rich apps including Kodi, HD Player, Plex Home Theater, YouTube, Spotify, JRiver, Google Chrome, Mozilla Firefox, and more. Alternatively, you can choose to output the Linux operating system desktop to use the TVS-882 as a PC. *Display resolution will vary due to CPU power.